What if you could drink your way thinner? The beverages you drink each day have a direct influence on your body weight and general health. While calorie-rich, nutrient-poor drinks like soda will leave you carrying extra pounds, certain drinks will have the exact opposite effect, enhancing digestion and reducing bloating so you can burn more fat and maybe even fit into those jeans again. This was the popular promise of last year’s trendy weight loss drink: apple cider vinegar. However, not everyone can stomach the sour taste, so we thought we would share some alternatives which can be equally helpful in supporting your fitness goals. Click here or the button below to start the slideshow. Hey Buddy!, I found this information for you: "19 Drinks As Good As Apple Cider Vinegar For Weight Loss". 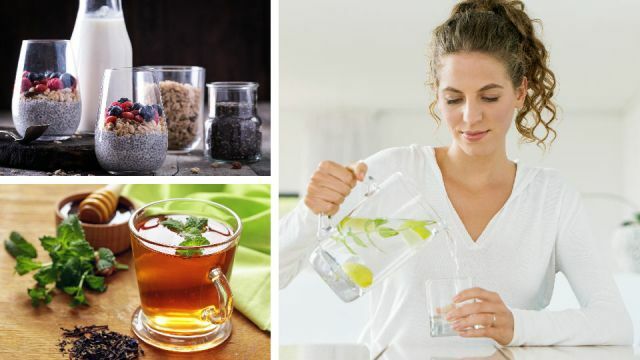 Here is the website link: https://www.thealternativedaily.com/19-drinks-as-good-as-apple-cider-vinegar-for-weight-loss/. Thank you.